A mum can’t be with her son on the first day of Chinese New Year, the most important day of the celebration. She’s a train conductor on duty along a week-long route, helping her passengers get home. Along the journey the train stops at her hometown station for three minutes. Her sister arranges for the son to meet mum on the train platform. They cherish their Chinese New Year reunion, even if it only lasts mere minutes. The vast majority of Chinese work long distance from their immediate and extended families. This includes parents working in places far from where their children are raised. Thus, Chinese New Year is an incredibly important time for families to reunite. Most families typically spend a week together. So they are willing to go to incredible lengths to reunite, especially on Chinese New Year day — creating the world’s biggest human migration period. The unsung heroes of this period are the transportation workers on duty throughout the holidays. The film touched these two important cultural topics, families who live apart and the transport workers’ sacrificing their time during the holidays. The contrast of our conductor only getting a three minute reunion while her passengers are probably going home for a week is a key tension in the story. For most Chinese people, Chinese New Year is the once-in-a-year time they get together with their family. These reunions however are sometimes taken for granted. We wanted to inspire people to cherish these precious moments by capturing their family reunions with their iPhone. The film itself, without a single iPhone X in it, shows the power of iPhone X. But for the audience, the touching true story shot by Hong Kong cinema icon Peter Chan, became content that was inspiring, relatable and meaningful. Cherish the precious moments by capturing their family reunions with their iPhone. Families go through great lengths for their once-in-a-year reunions at CNY. Instead of making a commercial with cliché celebrations and product placement, we took a different approach—deliver the brand’s human values through a film about the true and well observed story of a special reunion. The film should move our audience to capture their own reunion moments. 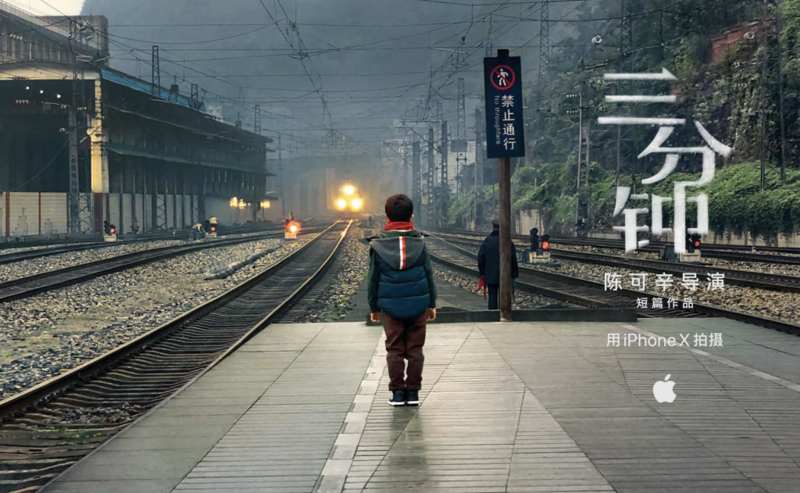 Inspired by a true story about a train conductor who only had three minutes to spend with her son on CNY, the film was beautifully shot by Hong Kong cinema icon Peter Chan, entirely on iPhone X.